The hygiene hypothesis proposes that the rising incidence of autoimmune and allergic disease may be associated with improved sanitation, less incidence of childhood infections as well as chronic parasitic infections in the developed world. Since Strachan first proposed the theory in 1989, the hygiene hypothesis may lead to novel therapies for autoimmune and allergic disease treatment and prevention, however; ongoing debate still exists as to whether infections help prevent or induce autoimmune disease (1). Most viruses, bacteria and parasites can trigger autoimmunity through a variety of mechanisms juxtaposed on genetic, hormonal and environmental circumstances (2; 3; 4). But could they possibly prevent autoimmune and allergic disease? 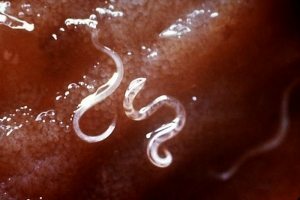 Necator americanus (hookworm) and other helminth infections such as Ascaris lumbricoides, Trichuris trichiura, Ancylostoma duodenale, schistosomiasis, and filariasis may offer novel therapies to modulate specific inflammatory pathways found in allergic and autoimmune disease (5; 6). While much of the evidence is correlative, there may be a causal relationship between helminth infection and reduced sensitivity to allergens (7). One advantage of hookworm is that it does not need to be re-inoculated at intervals for inflammatory bowel disease like Trichuris suis (10). Additionally, while initial infection can be associated with a skin rash at the site of inoculation, as well as an inflammatory response in the duodenal mucosa, those disappear with time. Ultimately, hookworm does not cause pain and the host’s general well-being is maintained (11). Helminth infection can contribute to anemia, slow growth and low birth weight, but not often; and infection can be easily treated with an anti-helminthic. It also cannot be passed with person-to-person contact, nor can it migrate to other tissues as seen in other parasitic infections - a process known as aberrant migration. While largely absent in the developed world, hookworm still infects as many as 500-740 million people worldwide (11; 12; ). In 2005, a randomized controlled trial was conducted in fifty-four patients with active ulcerative colitis. 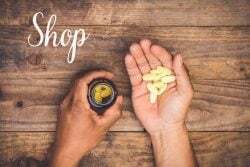 30 patients were given Trichuris suis eggs and 24 patients were given an oral placebo at 2 week intervals for 12 weeks. Trichuris suis eggs have been shown safe to humans. At 6 weeks, a Disease Activity Index improved significantly in the treatment group when compared to placebo with no side effects (13; 14). Helminth-infected patients with multiple sclerosis (MS) may also experience cytokine modulation, as well as fewer relapses, disability, and lower MRI activity when compared to MS patients without infection (15). A later, and smaller study also showed that inoculation with hookworm promoted tolerance of gluten consumption in ten patients with Celiac disease (16). Helminth therapy may help improve mucosal barrier function which may help modulate allergic and autoimmune presentations. Parasitic infections not only induce the host immune system to drive the parasite out of the body, but also induce mechanisms of mucosal healing through changes in the quantity, quality and composition of mucus (17). Disease progression is mitigated in patients with multiple sclerosis who also have a helminth infection (20). Results from an early trial with five patients with relapsing-remitting multiple sclerosis suggest that helminth infection may lead to less neurological symptoms and brain lesions (21). Further trials are needed to evaluate safety and efficacy of live parasitic infection (22). A 2006 review of studies of current parasitic infections and asthma suggested that Ascaris lumbricoides may actually increase incidence of asthma, while hookworm infection may decrease incidence and intensity (24). In 2010, experimental infection of thirty-two individuals with hookworm suggested improvement in asthma, although the results were not statistically significant (25). Vietnamese children aged 6-17 receiving anti-helminthic therapy had higher risk of skin sensitivity to allergen, but did not develop clinical allergic disease following 12-months of treatment. While IL-10 levels were consistent at baseline with an inverse relationship with skin sensitivity. The decreased sensitivity discovered in the treatment group did not appear to be mediated by IL-10. Early childhood infection with the helminth Trichuris trichiura also reduced skin test reactivity in later childhood, even if T. trichiura was absent at the time of skin testing. Mimicking the effects of early helminth infections may help prevent allergic and inflammatory disease (26; 27). Timing and severity of infection may play important roles. Early timing and low-level chronicity confer protection from allergic disease, while late timing and acute infection may trigger allergic sensitivity. Individual genetics and type of helminth infection likely cause differential influence on allergic disease (6). Parasites may initially promote inflammation, but appear to have evolved to suppress acute immune reactions and so the reactions are not able to amplify. As the infection prolongs, production of inflammatory eosinophils and granulocytes may be down-regulated (28). A natural predilection toward Th-2 dominance generally reduces parasite incidence in areas of high helminth infection. Without infection, a Th2 shift may increase sensitivity to allergens (29). Confoundingly, the incidences of Th1/Th17-mediated autoimmune diseases such as type I diabetes, multiple sclerosis and Crohn’s disease are also rising. A lack of Th1 immune stimulation early in life is not enough to explain higher incidences of autoimmune disease. Schistosomiasis, while invoking a Th2 immune response, was also associated with low Th2-mediated allergic reactivity (28). Hookworm and/or general helminth infection is proposed to skew the immune response toward parasite-specific Th1 and Th2, with anti-inflammatory and regulatory effects on Tregs and Th-17 (8; 11; 12; 27; 28; 30; 31 ). No one molecule released by a helminth is believed to be responsible for modulating the immune response - instead the effects appear to be a result of the dynamic interactions of the infection as a whole (8). Early evidence proposes that the unique pathophysiology of hookworm makes it a safe, and easy-to-manage choice when compared to other helminths, and may offer a novel strategy to managing allergic, autoimmune and inflammatory disease (11). While clinical trials may not offer full solutions, the inquiry is driving new understandings of immune control and regulation as it pertains to autoimmune and allergic disease.